Big, bold, and built to please, the Ford Explorer rocks. This Thanksgiving, we want to look back at what we've driven so far. The automotive industry might have its fair share of ups and downs, but they deliver some great automobiles worthy of our thanks. We haven't driven everything available for sale in 2018, but we get a great sampling of what's out there. Here are our choices for the ten we've really loved so far. When we drove the base Golf, we weren't prepared to be so blown away by an affordable hatchback. The fact that it's comfortable for four, has a clean interior and drives like a tiny sports car means its $20,910 base MSRP belies its true value. Though there's no leather, the VTex leatherette seats are high-quality, the ergonomics are great, and fuel economy is excellent. The benefits of German engineering come through richly when you toss it around, too. Who says you need to spend a lot to enjoy the fruits of great driving dynamics? The Mazda6 ($23,000 base MSRP) has now become just about the perfect family sedan thanks to its upgraded engine that delivers 227 horsepower to the front wheels (in higher trims). It's balanced, quick, composed, and it has some of the best steering in the segment. The interior is up there with more expensive sedans, and the infotainment system is one of the simplest to use. This way, you can focus on nailing that apex while seating five comfortably. The Germans should definitely look out for the South Koreans, who are now nipping at their heels in the sports sedan department. The Kia Stinger GT ($31,900 base MSRP), which shares a platform with the excellent upcoming Genesis G70, is the threat. The 365 horsepower twin-turbo V6 is mated to a quick-shifting 8-speed transmission and high-traction all-wheel drive. It's distinctive in its looks, and the interior is sporty and spacious. Lexus set out to build a true, exotic grand tourer, and it did exactly that at a price that undercuts BMW and Mercedes-Benz. The LC 500 ($92,200 base MSRP) is quick, opulent, and looks nothing like any of its competitors, bringing the future to the present. The snarling V8 sounds beautiful, and the LC 500 has one of the most unique and well-crafted interiors on the planet, regardless of price. It's a special car with its own distinct flavor. Jeep's Wrangler Unlimited ($23,995 base MSRP) is finally almost as good on pavement as it is off-road. The new Wrangler Unlimited also gets the comfort and technology it deserves with the new Uconnect system and a great screen. The wheelbase is longer, providing more second-row space, too. As far as the styling is concerned, it's more grown up and less bulky, resulting in a more expensive looking rock crawler. How can you make a near perfect roadster that much more perfect? Give it more power, and that's what Mazda did by punching the Miata RF ($32,945 base MSRP) up by 26 horses. Combine that with a slick 6-speed manual, more amenities, and an exotic retractable hard top that's on a non-exotically priced car, and you have a recipe for perfection. It may not sell in big numbers, but the RF is worthy of praise because of what it offers driving enthusiasts. Sure, the next-gen A4 is on the way, but the 2018 A4 ($36,000 base MSRP) that's for sale now is magnificent. It may seem low on the radar in terms of style, but it's a gem of a driving machine that also happens to be practical for everyday driving duties. The turbocharged four is more potent than its 252 horses might indicate. Combine that with all-wheel drive, great steering, and rapid throttle response, and you have a recipe for driving pleasure. It doesn't hurt that Audi makes simply gorgeous interiors, and the A4 is no exception. Ford waited long enough to bring us the new Expedition ($52,130 base MSRP), but that wait was totally worth it. This thing is a stilted limousine with its capacious room, gloriously comfortable seats, and driving dynamics that belie its hugeness. 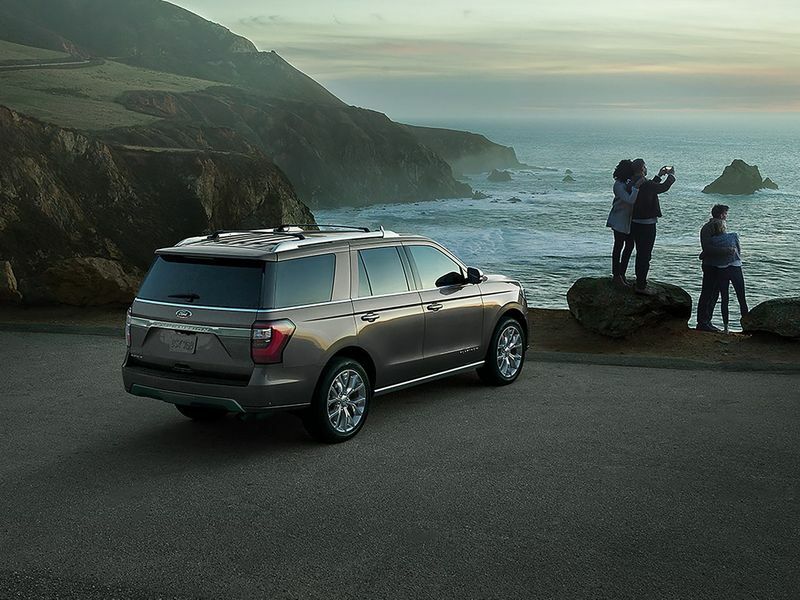 You don't have to plunk down for the pricier Lincoln Navigator that platform shares with the Expedition. In Platinum trim, the Expedition has more than you need including on-board Wi-Fi, one of the best infotainment systems around, and top notch safety scores. You can now give up your plans to retire and buy yourself the once boring Lexus ES because the new one leave that rolling loaf of white bread behind. The new ES ($39,600 base MSRP) is beautiful to ogle, fun to drive (especially in F Sport trim), and outfitted the way a luxury sedan should be. The ES has never been a driver's car, but the ES 350 with its 302 horsepower and improved steering and chassis that rides on Toyota's TNGA platform means it's a wake-up call for ES customers. The massive and stunning 12.3-inch infotainment system, along with plush seats and a much-improved center stack means the ES 350 is ready for luxury sedan prime time. The most exciting crossover this year (and there are A LOT of them) is officially the XC40 ($33,700 base MSRP). It looks different from the rest of the crowd, has an interior that befits a pricier steed, and drives like a small sports car. Sure, it's geared toward the younger set (you can get an orange interior, if that's any indication), but anyone will enjoy helming the smallest of the Volvo crossovers. The 248 horsepower turbo four is quick and responsive, and the XC40's handling is foreign to most of its competitors. The unique and sporty cabin is so well put-together that it doesn't seem remotely like a downgrade from its bigger brothers.